Miami is an Alpha-World City located in southeast Florida. Drinking and wastewater services for the city are provided by the Miami-Dade Water and Sewer Department (WASD), a department of Miami-Dade County. In addition to being the sole major drinking and wastewater service provider for Miami, Miami-Dade Water also provides water and wastewater service to the unincorporated areas of Miami-Dade and offers wholesale service to over a dozen municipalities. On average Miami-Dade treats about 3,500 acre-ft per day of freshwater, which it pumps from the Biscayne Aquifer below the city. Groundwater is the sole source of drinking water for the city, which is frequently leads to a debate over the resiliency of their water system to climate change and other natural disasters. Potable water supplies for Miami-Dade County are comprised entirely of ground water wells. The Biscayne Aquifer is just below the land surface and covers approximately 4,000 square miles in southeast Florida. While the depth of the aquifer keeps pumping costs relatively low compared to deeper aquifers, the high water table also leads to concerns about the ease with which groundwater may be contaminated. 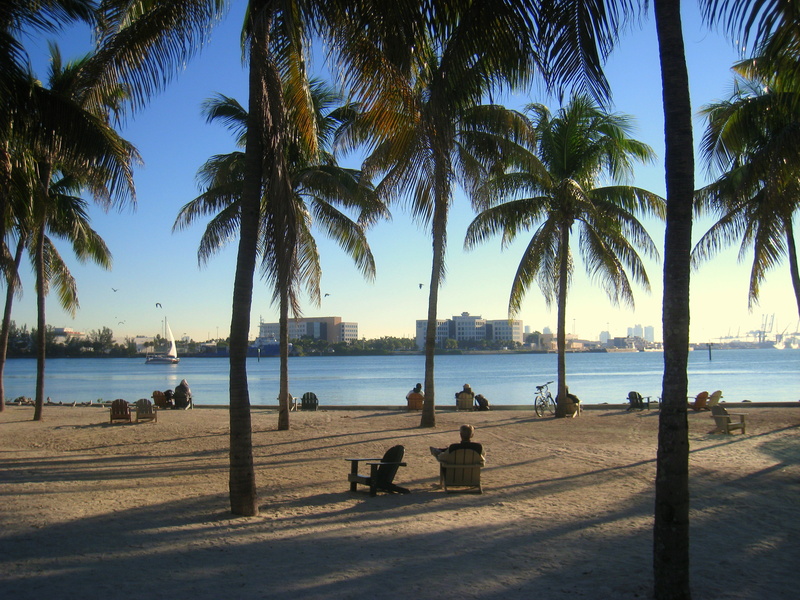 Because of this susceptibility to contamination, Miami-Dade County has partnered with state and federal agencies to create stringent environmental regulations and monitoring for businesses in the area. They believe that this approach, will prevent expensive water treatment processes and improve environmental quality for the region. The water supply treatment system is comprised of many treatment plants, including five smaller treatment facilities that serve the South Dade System, two larger plants (The Hialeah and Preston Plants) that serve residents to the North, and The Alexander Orr Plant which serves the population in between. Wastewater in Miami-Dade is both collected by a centralized sewer system as well as individual septic tanks. As the population of the region grew, septic tanks have become less common, but many still exist. Miami Dade also has both private and public sewer systems with approximately 730 facilities with private pump stations and approximately 1,420 public pump stations currently in operation. Miami has two large wastewater treatment facilities to clean and discharge wastewater, the South District Wastewater Treatment Plant and the North District Wastewater Treatment Plant. In 2005, the Water Protection and Sustainability Program (SB444) was signed into law, which provides state funding to alternative water supply projects. These projects include treating brackish water, reclaimed water, surface water and stormwater capture, and creating additional storage. Since 2005, reclaimed water has been used in Miami-Dade for a number of non-potable purposes, primarily park and golf course irrigation or groundwater recharge. Because the Biscayne Aquifer is very shallow, Miami-Dade County is particularly sensitive to runoff contamination. In addition to contamination, the region is also susceptible to flooding due to hurricanes and other large rain events. Accordingly, Miami-Dade established a stormwater Utility in 1991 which is funded through stormwater fees based on property footprints. The utility’s stated billing strategy is to charge property owners based on the runoff generated from their property. These fees are used to plan, construct, operate and maintain stormwater systems (primarily canal and drainage projects), with the secondary goal of reducing pollution cause by silt, oil, gasoline, fertilizers, pesticides and litter. Miami-Dade County uses ostensibly no surface water in their water supply system, although some stormwater is captured and placed into small storage infrastructure. The Biscayne Aquifer covers roughly 4,000 square miles and is the main source of water for Miami-Dade County as well as Broward County and much of Palm Beach County. Much of the water supplied to the Florida Keys is also supplied by the aquifer. While the aquifer is the sole source of water for over 3 million people, it is highly susceptible to contamination because of its permeability and depth. Additionally, many fear that the Biscayne Aquifer is subject to salt water intrusion if freshwater supplied are insufficient and that increasing freshwater—through aquifer storage recover and other methods—will both preserve the aquifer and increase the health of the Everglades.